Afro-Kittians and Afro-Nevisians are Saint Kitts and Nevis people whose ancestry lies within the continent of Africa, most notably West Africa. 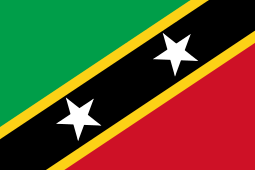 As of 2013, black people are the predominant ethnic group in Saint Kitts and Nevis. After the Kalinago Genocide of 1626, the island was formally partitioned between the English and the French, with the French gaining the ends, Capisterre in the north and Basseterre in the south, and the English gaining the centre. The island soon became a centre of production of tobacco. The planters grew prosperous. However, when the colony of Virginia began to dominate world tobacco production and profits started declining, the island switched to producing sugar cane, starting in 1640. To provide the large amounts of labour needed for the industry, African slaves were imported in large numbers. The slaves had very harsh living conditions, and thousands perished working the fields. Most of the slaves arrived to archipelago were brought from the Bight of Biafra (from where more than 35,000 slaves came to Saint Kitts and more of 5,000 to Nevis. Lot of them were Igbos of Nigeria), the Gold Coast (from where more than 14,600 slaves arrived, of which more than 9,000 slaves arrived in Saint Kitts and more of 5000 to Nevis) and Central Africa (from where over 14,200 slaves arrived, of which more than 12,300 of them arrived to Saint kitts and more 1,900 to Nevis). The rest of the slaves came from place such as the moderns Senegal (Senegambia exported more than 5,400 slaves to Saint Kitts and more of 1,300 slaves to Nevis), Sierra Leone (6,228 of them were exported to Saint Kitts and other 883 to Nevis), the Windward Coast (from where over 7,000 slaves arrived in St. Kitts and more of 300 in Nevis) and the Bight of Benin (2,357 arrived to Saint Kitts and 2,599 to Nevis since this bight). Slavery was abolished in Saint Kitts and Nevis (as well as in the other British colonies) in 1834. Currently, 92% of the population is African-Caribbean: So, 80% of the archipelago's population is Afro-Kittians and Afro-Nevisians (75% black and 5.3% mulatto, partially of Irish origin) and 12% are Afro-Europeans (European pf African descent). Only 8% of the population is from other origins (5% of people is of Indian origin and Afro-Indian and 3.3% from other parts of South Asia). The whites are 1% (of British, French, Portuguese and Lebanese descent). ↑ "CIA - The World Factbook -- Saint Kitts and Nevis". CIA. Archived from the original on 10 June 2010. Retrieved 2013-06-20. ↑ Ben Cahoon (2000). "Saint Kitts and Nevis". WorldStatesmen. Retrieved 17 July 2010. This article is issued from Wikipedia - version of the 7/29/2015. The text is available under the Creative Commons Attribution/Share Alike but additional terms may apply for the media files.